The Shadow Line. Part 2 – Still Annoyed at That Damn Graph. Following from the previous post, there is an exception to the relative lack of any major cultural and scientific force in the Antique West: Rome. While Gaul, Britain, and Spain were comparative backwaters, Italy was, however, another matter. There we could find major cities, such as Ravenna, Milan, and, of course, Rome itself, which did suffer a massive decline in the Medieval period. This was mostly due the Goths, Vandals, Lombards, and Byzantines coming in and pretty much ruining the place. For hundreds of years the Italian peninsula was ravaged by competing would-be conquerors seeking to hold on to the last embers of Roman glory. Their desire to grasp what remained of Rome is what killed it in the end, and for the next few hundred years, whenever anything important happened, it didn’t happen in Rome, or by Rome’s will. Notice how this was not the fault of the Church. The Papacy did hold on to some power, but by and large the barely ‘civilised’ ‘barbarian’ kings rarely did what the pope told them to do, or cared that he even existed. In the early middle ages, the Church in the West was not as powerful as a unified organisation as many people (including the creator of the graph) seem to think it was. It was actually far more decentralised, with archbishops and bishops largely left to do as they wish, sometime in flagrant opposition to the papacy. This changed later in the ‘high’ middle ages, as the papacy sought greater control over its own constituents and independence from monarchs, and this is when the dogmatism of the Church became an entrenched feature, which would become a full-blown panic attack when an alternative world-perspective arose in the fourteenth century. It’s a matter of priority. In a certain fashion, this graph also assumes some level of predictability, that history is progressive unless some external force acts upon it, a notion which may be plausible in theory, but not in practice. In the first place, scientific advancement requires a certain level of stability and organisation; essentially there needs to be enough time to do the science, and the will and the money to do it. The Greeks became wealthy through trade and could afford to pursue more philosophical endeavours, and the Romans jumped on their coat-tails. While the Empire was stable everything was hunky-dory, but then if you introduce a little anarchy, upset the established order, everything becomes chaos, as the scarred philosopher once said. The priorities of the Germanic kings was not to learn, but to conquer, not to admire great works of art, but to accumulate power. They judged a man on his sword-arm, which the Romans also did, but they also expected a man to appreciate and recite complex poetry (and trust me, all poetry in Classical Latin is complex). The latter outlook survived in the Eastern Empire in a secular sense, and in the West it fell on the shoulders of the Church, the priority of which had never been education in a Classical sense, but of revelation. No great centres of learning were established in the West by the Roman state to compete with those of the East. The great monastic schools preserved as much as they could, especially in Visigothic Spain and pre-Norman Ireland, but their priorities were different to that of the Roman state. They were not educating a class of civil-servants to administrate an Empire, but rather trying to develop a stratum of society with a deeper appreciation of their God so as to better teach the masses. It is not the fault of the Church or of early Christians that they did not appreciate the industry or science of bygone empires, it was simply not the point of their organisation. The Western Church was a religious organisation which took over the role of administration, healthcare, and education with the collapsed of the Empire. This was not what the Church had been designed for, the world perspective that it extolled was not conducive to perpetuating the ideals of the collapsing Empire. But they did pretty well, in retrospect. We also must be at pains to remember that a scientific world perspective didn’t really exist, and, in many cases, religion answered the same questions just as convincingly (to the the people of the time). They had no notion of microbes, so a plague could easily be interpreted as a curse from God. There was no Theory of Relativity, or of Gravity, no Evolution, no understanding of the formation of galaxies, of the vastness of time, nothing electronic to help do the difficult sums. While Greek philosophers may have pondered the atom, ‘God did it’ was, at that time, a viable answer, because there was no other paradigm. You might think that these people were stupid for thinking this way, and after a certain fashion, they were; education was the privilege of an extreme minority, as it has been, and remains to be, throughout history. While the upper ranks may have scoffed at the religious notions of the lower orders, religion was still a powerful force in the pre-Christian world, and it remained so when Christians rebranded the game. Of course the Western Church did cause a certain level of what we would call intellectual stagnation, largely because they spent a great deal of time wondering about myths and fantasies, but then again, what religion doesn’t? They also spent a good deal of time trying to rebuild the Empire, copying and discussing ancient works. Had the Church not stepped in to the void left by the decline of the Empire in the West the Renaissance may never have happened, or at least it would have been greatly delayed. 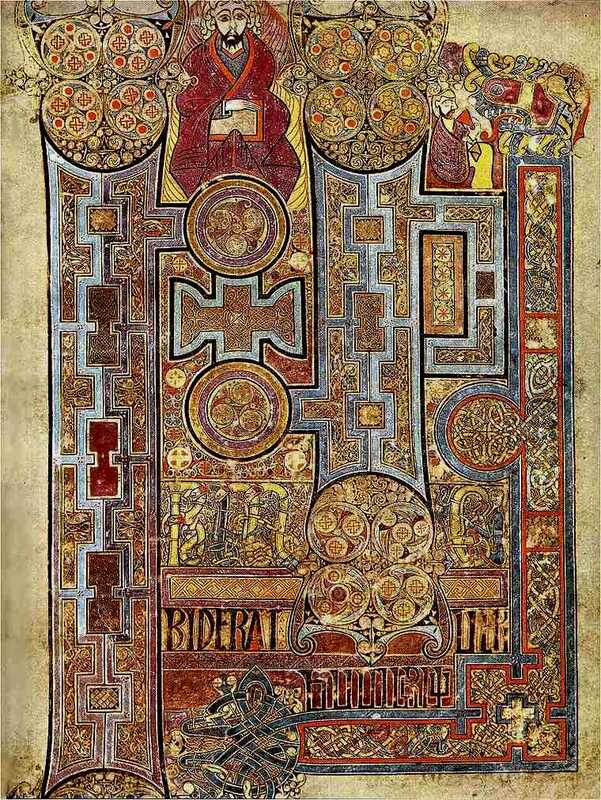 Had the Merovingians and Carolingians not recognised the value of a Classical or ecclesiastical education they might not have been so keen to let highly educated Irish and Anatolian monks wander around their territories, monks who brought different world-views, and, most especially, Greek knowledge with them. The Carolingian Renevatio was born in Irish- and Near Eastern-influenced monasteries (the former, though neither native Latin- nor Greek-speaking, were enthralled by those languages and learned them to an impressively high standard, and for the latter, Greek was the language of education), a movement which laid the groundwork for the Renaissance. It does not mean what you think it means. The greatest factor in the decline of science in the West was the fact that most works on the subject were written in Greek, a language few in the West ever bothered to learn, even in Roman times. Indeed, not only was science almost literally a Greek subject, but so was philosophy and the Bible. The Church in the West did its best with what little Latin resources it had, preserving what may have been little more than snippets and quotations from Greek texts, or brief accounts of such documents found in Latin translation. The ‘Christian Dark Age’ did not happen; the stagnation of the West was due to the traditional priority of Latin over Greek in the western half of the Empire, and because the region was never (outside of Rome itself) home to great centres of learning like Alexandria, Antioch, or Athens. The West was a bit of a cultural backwater, in comparison to the East, during the Empire, and, yes, things did become worse with its decline, but it was not the fault of Christianity, and it did not lead to a universal dark age. Indeed science was undertaken throughout the Middles Ages; an early text survives from Ireland which describes the motions of tides and what might cause them, the whole Church was obsessed with the calculation of time. Mathematics, astronomy, and philosophy remained important subjects of study, as did law and engineering, giving rise to what were known as cathedral and palace schools, the well from which universities sprang. Technically speaking, there are ‘dark ages’, periods of paucity of sources, such as during the Anglo-Saxon invasions of Britain or the collapse of Bronze Age civilisation, but there were not a ‘Dark Age’, not even one which can be blamed on Christianity (unless the religious right in the US continue on their draconian crusade against women, minorities, and education). We might more accurately describe the ‘gap’ the graph suggests as “the inevitable result of a mass invasion by pagans into a region which received very little investment into its educational infrastructure, while other regions, while they did suffer some incursions from the aforementioned pagans, remained educationally vibrant, though this graph has curiously chosen to omit these cultures”. Maybe I’m being pedantic, but at the very least, the ‘Dark Age’ of Western Europe, if you still want to believe in such a myth, was not the fault of Christians, they just happened to be living there at the time. Since I’ve ranted about who the Celts weren’t, I thought I should say who they actually were. 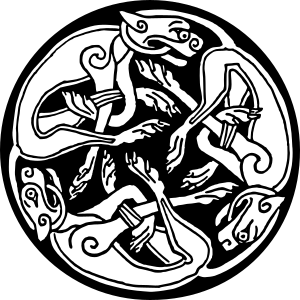 The term ‘Celt’ has been abused for quite a long time now; people buy Celtic music, wear Celtic designs, and imagine themselves as part of a great Celtic identity. This is twisted into odd forms of nationalism, neo-paganism, and Christianity. It might seem vaguely ironic that the term is used by both pagans and Christians, but the reality is that they are both wrong, so what’s the difference? I must be quite clear on this point, and you must pay attention, as this is crucial; we are speaking here of terminology. Detach the word ‘Celt’ from any image or concept it might arouse in you mind; words are used to denote concepts, and sometimes those words are misused. This misuse might lead to one word being used to describe many individual and separate physical things and abstract concepts. It may be that no connection between these discrete and individual things exists, except for that word. While certain groups of people who specialise in the field of studying these things might grasp this fact, in popular culture the separate identities of these things are muddled and mixed because only one word is used. This mess is compounded by fashion, arbitrary notions of nationalism, and, sometimes, outright deceit. But just because something is popular does not mean that it is true (just look at that whole ‘god’ phenomenon; I mean, seriously, are we not over that yet?). If you want a very basic example of this, look at Goths. A few hundred years ago the Goths were a migratory nation wandering around the Roman Empire generally taking things over. Nowadays ‘Goth’ refers to a non-violent post-punk subculture which is more likely to feel oppressed than go oppress other sub-cultures. ‘Gothic’ also denotes a type of architecture that has nothing to do with either the Goths (had swords) or the Goths (have ipods). The term is also applied to a type of literature, which may have influenced the Goths (tend to have piercings), but not the Goths (tended to pierce people), and may have itself drawn some inspiration from Gothic architecture. So, here we have a term that describes a certain style of writing, a certain style of building, and a certain style of fashion, none of which are really connected to the original meaning of the term which denoted a bunch of folk from northern Europe who moved to sunnier climates. 1. A historical ethnic group. 2. A family of languages. 3. Archaeological material (well, not really; I get to this in a moment). 4. A bunch of fanciful modern nonsense about faeries, druids, new-age Christian hokum, spirituality, and an economic bubble. Let’s all agree to ignore 4. So, what are these three Celtic things, and how are they all ‘Celtic’ but not about the Celts? The problem lies with 17th and 18th century scholars (many of the world’s problems are the fault of these guys). These people were working in the dark, fumbling around with artifacts, languages, and cultures, attaching names that made sense at the time, but no longer do. All they had to work with were the histories handed down by propagandists, politicians, and priests (hardly the most trustworthy of folk), and the things they dug up, and had to make some sense out of it all. Certain elements of this process were easy; the ancient Romans and Greek were very helpful in leaving tons and tons of things in the ground and in books to be found by these scholars. Sadly, these scholars believed everything the Romans and Greeks wrote in these books. So when it was said that there were a people called the Celts, and that they were barbarians, it was believed. Almost everyone in Europe who was not Roman or Greek was labelled a Celt, because it was easier to think of great empires and cultures in opposition, civilisation in contrast to barbarity, bad guys versus good guys, us against them. Utter nonsense, of course, but that’s basically the way it was thought of for centuries. So, history, archaeology, and culture were all muddled up by these scholars, creating a new version of the myth of the Celt (Caesar got there first in many respects, but more on that later). Then, in the 19th century, simply because academics love making things far more complicated than necessary, philologists decided to name a group of languages, which until then didn’t really have much in common with the ‘Celts’ of the historians or archaeologists, Celtic. To make matters worse, around this period racism was becoming tremendously popular, and nationalism was really taking off. Nations had to invent identities, foundation myths, reasons for why you are not one of us. Utter nonsense again, of course, but people are stupid. Certain peoples looked back and picked the bits of history they like; the anti-monarchical French liked to identify themselves as Gauls, ‘Celts’ who had resisted the imperial ambitions of a certain Roman; the English liked the idea of being made up of various peoples who had kicked the crap out of the Britons, ‘Celts’ who had been conquered by Romans, Vikings, Anglo-Saxons, and Normans; and the Irish, being not-English, began to identify themselves as ‘Celts’, something which the neighbours agreed with as they had a fondness for kicking the crap out of Celts. Did the Celts of France, Britain, and Ireland have anything in common? No. And yes… It’s complicated. 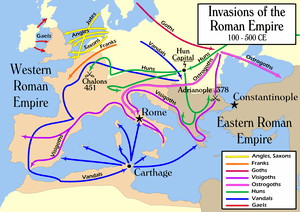 Latin survives today as Portuguese, Romanian, French, Spanish, Occitan, Catalan, and the various Italian dialects mostly because the Romans were very, very good at killing some people, and educating those who were left. Sadly, a great number of these people spoke various forms of what is called ‘Celtic’. They didn’t call it Celtic, and they might not even have realised that their languages were related; a Portuguese person might have rather a hard time understanding a Romanian, though technically they are speaking very similar languages. The various peoples of Gaul who spoke Celtic languages might not have immediately understood one another, but they would have definitely had a hard time comprehending the Irish, or the Galatians (who lived in central modern Turkey), even though they were all speaking ‘Celtic’ languages. Not that Caesar cared when he was conquering Gaul; all that mattered to him was that they didn’t speak Latin and they had lots of gold, which he wanted. Keep an eye on this Caesar fella, a lot of the problem is in many ways his fault. Scholars in the 19th century, when confronted with a bunch of languages, which were clearly related, found in a vast region stretching from Anatolia, central Europe, northern Italy, France, Iberia, and the British Isles looked in the works of ancient writers to see if they could find some great empire or culture to explain this phenomenon. They took a liking to the ‘Celts’ and the name stuck; these languages became known as Celtic, divided into Insular and Continental branches, the latter of which became extinct, though the former survives as Irish, Scots Gaelic, Welsh, and Breton. Are these languages Celtic? Yes, in a very specific linguistic sense meaning that there is a language family which scholars use the term ‘Celtic’ to identify. Were the people who spoke these languages, and those who still do, Celts? No. They may, at best, be called Celtic-speakers, which would be like calling Americans German-speakers (see how often you can get away with saying that to an American before irk turns to anger). The Irish, Welsh, Scottish, and Breton speak Celtic languages but are not Celts. Pointy stabby thing, also known as ‘sword’ (Image via Wikipedia). Swords, Scabbards, and other Stuff. As before, there was a time when anything non-Roman from the Stone Age on was synonymous with ‘Celtic’, but the limits of that term were eventually reduced to the Iron Age, an then into two specific periods, La Tène and Hallstatt. The folk of La Tène persuasion are customarily associated with the Celts of Caesar. The use of Celtic languages far exceeded the territories encompassed by these cultures, which may have included non-Celtic speaking populations. We might suppose that, as there was a certain unity of material culture and language in central Europe, these people were Celts, but ‘Celtic’ Ireland and Britain possess little in the way of this material culture, but are the only places where the language survives. Even the Celtic-speaking peoples of Iberia, the cleverly named Celtiberians (I bet it took months to come up with that), were hardly touched by the La Tène culture. And let’s not get into the difficulties thrown up by the Celtic-speaking Galatians of Anatolia. Can we tie artifacts and remains to languages, and make them both Celtic, essentially inventing a people with a shared ethnic, linguistic, and material identity? Well, yes, if you ignore the facts, which is what people generally seem to do. There are more Roman archaeological artifacts found in Ireland than ‘Celtic’, which would, with seriously flawed logic, suggest that the Irish were in fact Romans. Which would be an impressive feat, since the Romans never invaded Ireland. So, what is commonly referred to as ‘Celtic’ in an archaeological sense is really two separate material cultures, neither of which are in any serious way connected to ‘Celtic’ languages, or the modern ‘Celtic’ nations, aside from the use of fancy interlacing to entice shoppers to buy ‘authentic’ Celtic merchandise. We must then conclude that archaeology cannot tell us who the Celts were, only that there were a bunch of people hanging out in Central Europe who made things in a certain distinctive way before the Romans came along and ruined the party. But at least it gets us closer than language does. As for historical Celts? Well. This is where the fun really begins. Celts appear first in the writings of the Ancient Greeks, who wrote that the ‘Keltoi’ lived up around the Danube, northern Italy, and also in southern France. Which seems to map onto the La Tène scheme of things. Caesar gives the most information on these Celts, which is not surprising as he had an excellent research opportunity, getting up close and personal with the Gauls, what with his conquering, killing, and enslaving campaign. That kind of thing won votes back in Rome, and he was aiming for the big leagues. It’s a pity that he was a politician and a soldier, as his views of the Gauls are heavily laden with stereotypes which had been around for centuries. He is the only person to refer to certain ‘Celtic’ practices, such as the Wicker Man, and so we cannot know if they are true. Caesar was keen to point out, though, that the Gauls were semi-civilised, unlike the utterly barbaric Germans, but at least Teutonic trains run on time. All references to Celtic culture and religion are based on Graeco-Roman stereotypes, and, as far as I know, no mention is made of Celtic art in their literature. So, in modern terms, Caesar was a racist, and only saw what he wanted to see. To be fair, he was a clever guy, so let’s give him the benefit of doubt, and say that he was telling the Romans back home what they wanted to hear. But, essentially, he was like an Englishman going to America, writing home about the barbarous customs and foods (creationism and cheese in a can) he found there, while ignoring their contribution to world culture and science (jazz and the moon landings). Interestingly, Caesar didn’t call the people of Britain Celts, but Belgians (of a sort). And throughout the Middle Ages none of the surviving ‘Celtic’ peoples of the British Isles called themselves Celts, or had any notion that they had a shared heritage, other than the fact that they were extremely fond of killing each other. Historically speaking, the ‘Celts’ of the British Isles weren’t labelled as Celts until much much more recently. What have we learned? The ‘Celts’, as they are commonly understood, never existed, and while certain aspects of the linguistic, archaeological, and historical notions of a Celt overlap, they do not provide us with who or what a Celt really was. A person from a La Tène influenced region of central Gaul who spoke a Celtic language may tick all the boxes of what is needed to be a Celt, but this would exclude so many others, making the whole notion invalid. So, in conclusion, I must apologise. I said at the beginning I was going to tell you who the Celts really were, and I haven’t. But it’s not my fault, nobody can. And anyone who says otherwise has either discovered something revolutionary, and should be published in a book, or is a nutter, and should be hit with one.